Dr. Dieu Thuc Do was born in Rach Gia, Viet Nam. He is the oldest of 5 children. His father was the Deputy Chief of Rach Gia and his mother was a homemaker. He graduated from Sai Gon Medical school in 1965 and served in the army (ARVN) as a major and physician. From 1973 to 1975, Dr. Do was elected as the chairman of Rach Gia City Council. Dr. Do immigrated to the United States in 1975 after the fall of South Viet Nam. He successfully passed the necessary equivalency tests and completed a residency program which allowed him to practice medicine in his new home. Dr. Do married Thuy Do and moved to Cleveland, Ohio. They have three children – Francis, Stephanie, and Jennifer. Dr. Do is first and foremost, a family man. The dedication and pride he feels for his wife and children is notorious to those that know him. From 1980 to the present date, Dr. Do has practiced medicine in Cleveland, Ohio. He is well known and respected in the community as both healthcare provider and friend. Patients report that his empathy and respect for their autonomy, personal values, and heritage demonstrate his devotion to their health and wellbeing. Patients consider him to be an integral part of their lives and regularly request his presence at significant events in their lives. While practicing as a medical doctor, Dr. Do was also in the United States Army Reserve. In 1991, he served in Iraq during Operation Desert Storm. Dr. Do was awarded the title of Major Ret., United States Army, and Desert Storm veteran. Every year on Veteran’s Day and April 30th, otherwise known as “The Fall of Saigon”, Dr. Do participates in local ceremonies to honor military veterans and to remember the sacrifices of both American and Vietnamese soldiers in the wars. Dr. Do’s commitment to the community goes beyond the medical field. Recognizing the difficulties of immigrating to a foreign nation, Dr. Do uses his current blessings to help immigrants easing into American society. 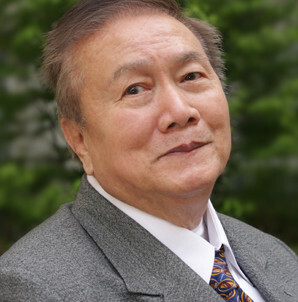 He was co-founder of the Asian Pacific American Federation in Cleveland, Ohio, was appointed to the Cleveland Mayor Advisory Committee (1983-1993), and served as the President of the Vietnamese Community in Greater Cleveland for 8 years (1980-1988). During this period, he also served as the liaison between the local government and new Vietnamese immigrants. As a Catholic, he is active with the Diocese of Cleveland, The Vietnamese Catholic Community at St. Boniface, and the Asian Ministry of the Diocese. He sat on the Board of Trustees of the Cleveland Catholic Charities, and was a member of Diocesan vocational. Dr. Do and his family are proud of their Vietnamese heritage. As the first generation of Vietnamese immigrants in Cleveland, they feel that it is their duty to reach out to other groups and demonstrate how cultural diversity can enrich the community and its city. They have participated in many projects to promote the Vietnamese cultural heritage and to celebrate the diversity in Northeast Ohio. 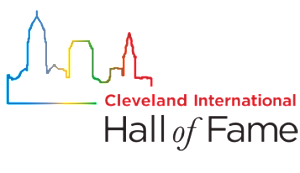 Their tireless contribution and participation in events such as the annual Lorain International Festival and the initiative Church in The City from the Diocese of Cleveland are primary examples. Dr. Do has traveled the world for both work and pleasure. He has visited France, Italy, and Ireland and has been asked to travel to Thailand and Iraq. No matter the destination, Dr. Do has a profound respect for different cultures and perspectives. His greatest pleasure is sharing and receiving insights and knowledge with others. Despite language barriers, he makes efforts to communicate and connect with others. Dr. Do’s spirit, courage, and compassion have made him both highly respected and adored by his community and beyond.